An intensive cream containing new-formula capsules that dissolve on application, releasing Vitamins A and E directly into the skin. Also Gold Complex capsules, consisting of mp gold 2035, a new development exclusive to the Mon Platin laboratories, containing hyaluronic acid, powdered pearls, 24K colloidal gold, quinoa protein and pomegranate. This unique complex of active ingredients purifies the skin and helps prevent the formation of wrinkles and the creation of free radicals, imparting moisture and preserving the skin´s vital elasticity. 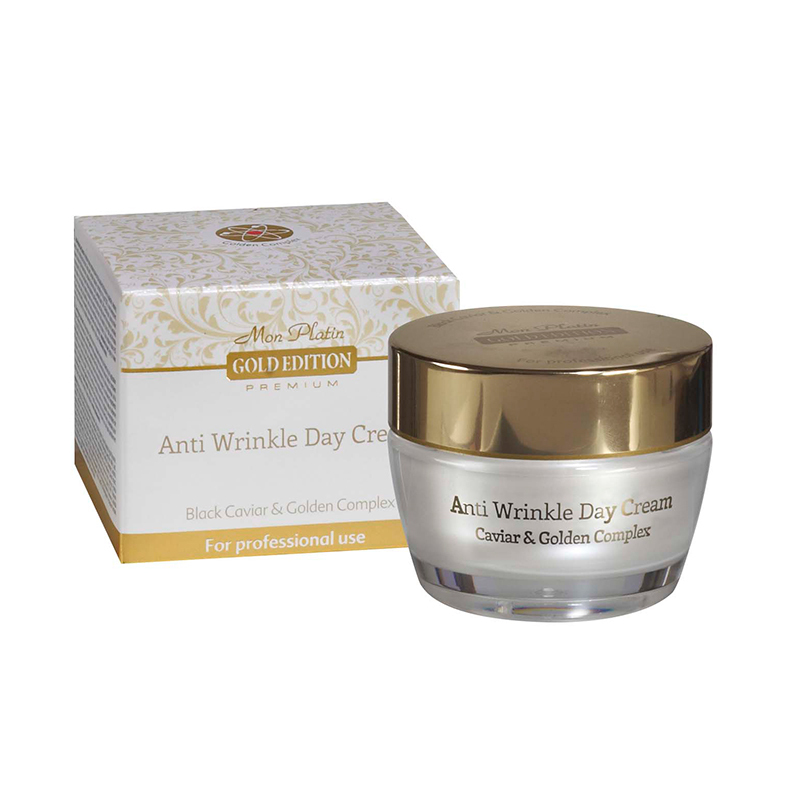 Mon Platin Anti-WrinkleCream is rich in black caviar, sea buckthorn, with a high concentration of oils and proteins. It also contains Vitamin B5 and Dead Sea minerals which are essential to skin regeneration and rejuvenation.